Designing a summer program by keeping a balance of fun and structure can be difficult for busy families. Preparation may be the key to enjoying the summer. As you plan for the summer, consider the needs of your child and family. Define your budget and family vacation/activity schedule. Whatever plans you make for your child should fit comfortably within those parameters. Respect your child’s social and emotional needs. He may want a break from school work over the summer. Keep in mind that he is probably working hard in school at the time you must decide on summer plans. He may feel less stressed once he’s had a week or two of summer vacation. On the other hand, he may be enthusiastic about pursuing a sport or hobby through camp or another organized activity. Think creatively. Aim for a healthy balance by integrating academics and recreational plans for your child. A good starting point for a summer program selection process is to assess your child’s current challenges, strengths and interests. This, along with the knowledge of your child’s temperament, personality and level of maturity, will help you choose suitable programs. Children with learning and attention difficulties often benefit from being involved in non-academic activities during the summer. For many, the school year takes a heavy toll on self-esteem. So, while you may worry that your child will “lose ground” academically over the summer, it can be important to balance academic skill-building with activities that help your child regain self-esteem, relax and have fun, or explore new exciting pursuits. Summer break allows your child a chance to learn in a less structured setting where his needs can be addressed in different and creative ways. Computer keyboarding is an example of an important skill for all young children to develop. Keyboarding can give an alternative to the difficult process of writing as an assistive technology specifically designed to help your child’s learning disabilities. Physical activity is important for good health and energy. If your child is well coordinated and likes team sports, he may enjoy programs through your local recreation departments. Group activities also may strengthen social interaction skills. If your child does not like to compete or follow team rules, he may be more comfortable with individual sports, such as swimming, hiking, skating and bicycling. If he has problems with attention or self-control, martial arts can be a good choice. By participating in art, drama or music classes, your child may discover and use special talents and build self-esteem. Look to your local recreation center and community theaters for class offerings. Consider taking him to museums, libraries, art galleries, aquariums, planetariums, concerts and plays. Your backyard and local neighborhood can open up a world of possibilities for science activities. One of the biggest struggles parents of a child with learning disabilities face is whether to continue basic instruction during summer vacation. He may need a break right away but could use a “brush up” from tutoring a few weeks before school begins. On the other hand, if he is just starting to make progress in a specific area when school is getting out for the summer, it may be advisable to continue instruction. Your child’s teacher can give you suggestions for activities to strengthen skills he has learned. Review the summer plans you’ve made to date. Where there are gaps, brainstorm ways to address them, such as parents rotating days off work to stay home with younger children on unscheduled days. Be prepared to be spontaneous. Keep a running list of places and people to visit when time permits and the mood strikes. Summer, free from homework and tutors, is a great time to visit the science museum, go on a bike trail or attend a concert-in-the-park you cannot seem to get to during the school year. If you and/or your child need a routine, build as much of it in your summer schedule as possible. Even so, your routine may change every week or so. Find ways to prepare for these transitions. This may be as simple as rehearsing the new routine (including daily wake-up time and preparation) with your child before that week begins. Transitions can be hard for parents, too! Ask other people (spouse, family members, and neighbors) for help shuttling kids to activities and supervising them on their “days off.” Trade carpooling and kid-watching duties with other parents in your neighborhood. Don’t succumb to summer stress! There is bound to be some chaos, as well as “boredom,” in any household during the summer. When stress hits, try to find humor in the situation. 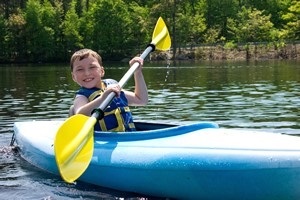 Making summer plans for your child is quite a balancing act. There are many factors -and opinions – to consider. Do the best you can making summer plans, then let go of any guilt! This may be easier said than done. Don’t expect perfection of yourself or your child. Remember that summer should also be a time to enjoy your child, so find time to laugh and play together. Linda Loff, M.Ed. is an Educational Consultant for K&L Solutions and Eaton Academy. She can be reached at klsolutions@bellsouth.net.